Water is a basic need for humans, animals, and the environment. Accessible freshwater represents less than one percent of Earth’s water, and population growth, climate change, and pollution will continue to stress this finite resource. The most convenient water sources have already been developed, and additional water development will require greater investments and carry greater ecological and environmental impacts. Even after significant water conservation, global water sustainability will require that water be used more than once. Potential uses of reclaimed water include landscape irrigation, toilet flushing, firefighting, industrial processes, environmental enhancement, and groundwater recharge. Large-scale projects in Singapore, Israel, and California are leading the way, and a few water reuse projects are now operating in Utah, but water reuse is generally limited. Water reuse is not the solution, but, like any engineering alternative, is one option among many that has particular benefits and constraints. Especially where water resources are scarce, water reuse should be included in a diverse water portfolio—a collection of assets, policies, practices, and technologies that collectively lowers risk. Reusing water requires physical and chemical treatment processes, pipelines, waste disposal mechanisms, and other systems. The level of treatment depends on the water quality needed for the proposed use. The siting and design of water reuse infrastructure present unique technical challenges. A particular constraint is to find an appropriate, feasible reuse application of the given water. The technical constraints directly relate to financial ones. Funding for water reuse projects must cover planning, design, construction, operation, and permitting. Ultimately the costs of water reuse projects fall on the consumers, many of whom object to increasing water rates even if they are still relatively affordable. The heavy costs may prevent water suppliers from investing in water reuse and instead reinforce the less-expensive but less-sustainable status quo. Some water reuse projects simply will not break even, and if money is the main factor, they will not happen. Another set of impediments involves policy and regulation. Each state establishes its own standards that dictate what types of reuse projects are allowed and what water quality is required (see Utah’s standards here). The permitting process can be onerous, often requiring coordination with multiple regulatory agencies. The rights of water users also impact the acceptability of reuse. Downstream users may rely on return flows from once-through water for their own uses. Such uses have usually emerged as a matter of historical precedent rather than actual water right appropriation. A wetland or river, for example, may depend on treated wastewater effluent for a portion of its required in-stream flow; redirecting the effluent to another use could starve downstream ecosystems. 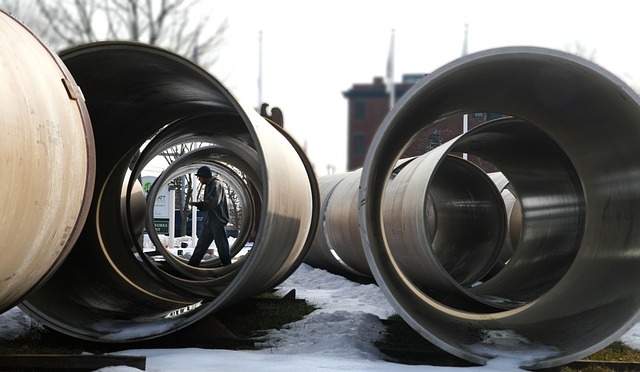 In Utah, water rights present a nontrivial challenge for water reuse projects. Finally, no water reuse project succeeds without adequate public support. Water is a public resource, so the public must approve of its management. “Toilet to tap” and other simplistic attitudes have stigmatized water reuse and hindered its implementation even where all other barriers have been overcome. A general lack of awareness, both of problems and of solutions, affects water reuse projects at all stages. Utah’s developed water supplies cannot accommodate the state’s growing population. Water utilities, regulators, and engineers will need to evaluate all potential water supplies in order to continue providing reliable, high-quality water to the public. Water reuse could be part of the solution. Water Reuse in Utah (Utah Division of Water Resources, 2005). Guidelines for Water Reuse (U.S. Environmental Protection Agency, 2012). Utah Administrative Code R317-3-11: Use, Land Application and Alternate Methods for Disposal of Treated Wastewater Effluents. Utah Administrative Code R317-13: Approvals and Permits for a Water Reuse Project. A version of this article appeared in the January 2017 issue of Civil Source, the newsletter of the Utah Section of the American Society of Civil Engineers.